December 7, 2005  Horses remastered and live from Patti Smith; A preview of new music by Nellie McKay; A new retrospective on Jelly Roll Morton; Stunning slack key guitar from Sonny Lim and more. January 1, 2015  By necessity, the early jazz pioneers knew how to make music for revelers. 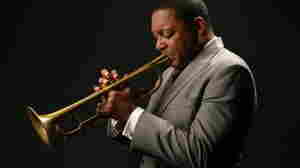 So it made sense that Marsalis put the tunes of Jelly Roll Morton and King Oliver on the bill for this New Year's Eve bash. December 21, 2005  For lovers of jazz music, the year 2005 brought a wealth of reissues by critical artists from Jelly Roll Morton to John Coltrane. The music, the result of exhaustive archival and restoration work, adds new details to one of America's richest musical traditions. December 6, 2005  In 1938, at a low point in his career, Jelly Roll Morton recorded a series of interviews and performances with the folklorist Alan Lomax. Now those recordings have been released in a new box set from Rounder Records called Jelly Roll Morton: The Complete Library of Congress Recordings. August 1, 2001  Jelly Roll Morton claimed that he invented jazz. While this statement provoked much criticism, Morton is widely considered the first great composer of jazz. Morton's most popular tunes, including the frequently copied "King Porter Stomp," can be found on this album. 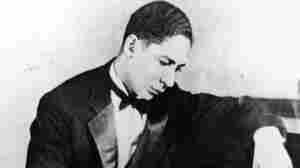 October 16, 2000  Jelly Roll Morton wrote 'King Porter Stomp' back in the early 1900s, when he was still a teenager, playing piano in the clubs of his hometown, New Orleans. Photo Illustration: Lars Gotrich; Photos: Keystone/Hulton Archive, iStock. 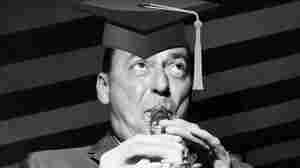 May 19, 2010  When the frustration of applying to hundreds of entry-level positions gets to be too much to bear, just stomp it out with these five jazz tracks. After that, you'll be ready to face the world beyond the cap and gown. February 18, 2009  One of the beauties of New Orleans piano music is that once you hear it, you'll know it whenever you encounter it again. 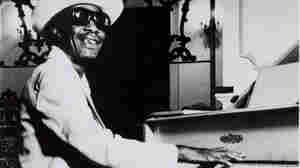 It's Mardi Gras week in New Orleans, and we're going to join in the celebration with a brief but broad overview of some of the Crescent City's many extraordinary pianists.